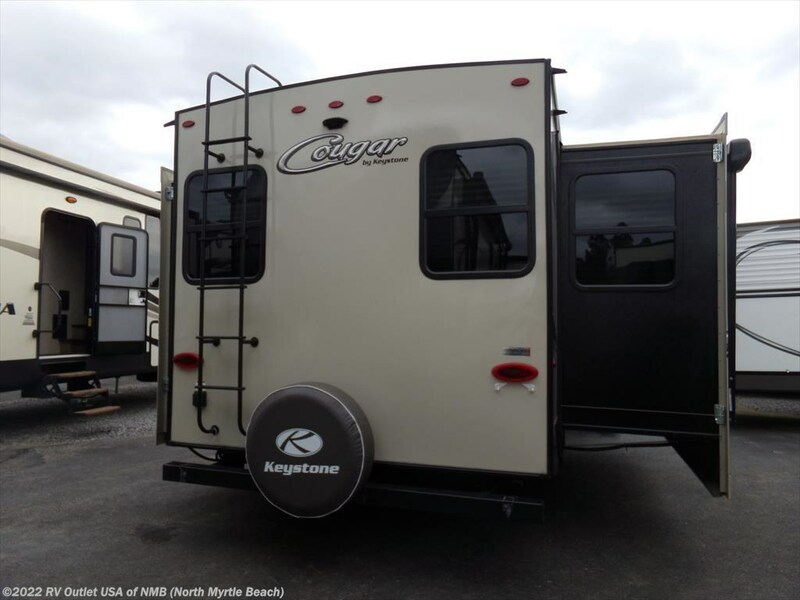 PREOWNED 2017 KEYSTONE COUGER XLITE 29RES! 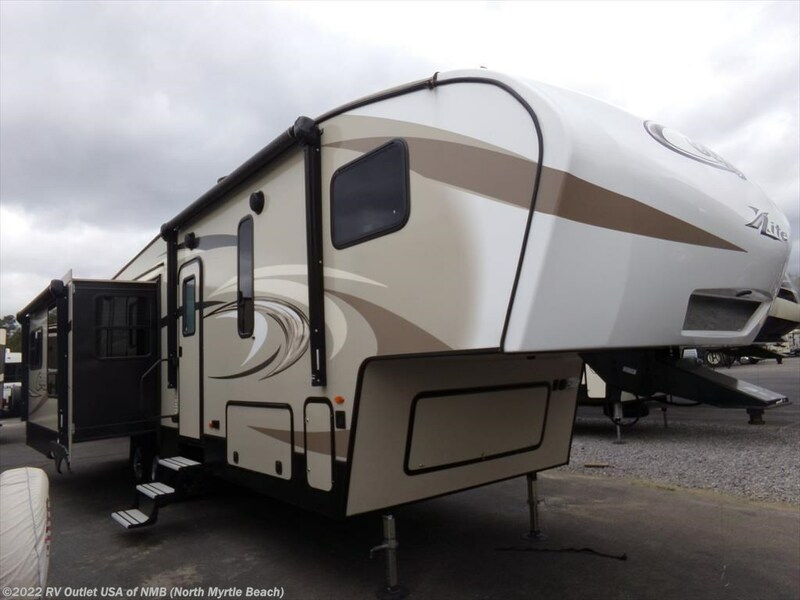 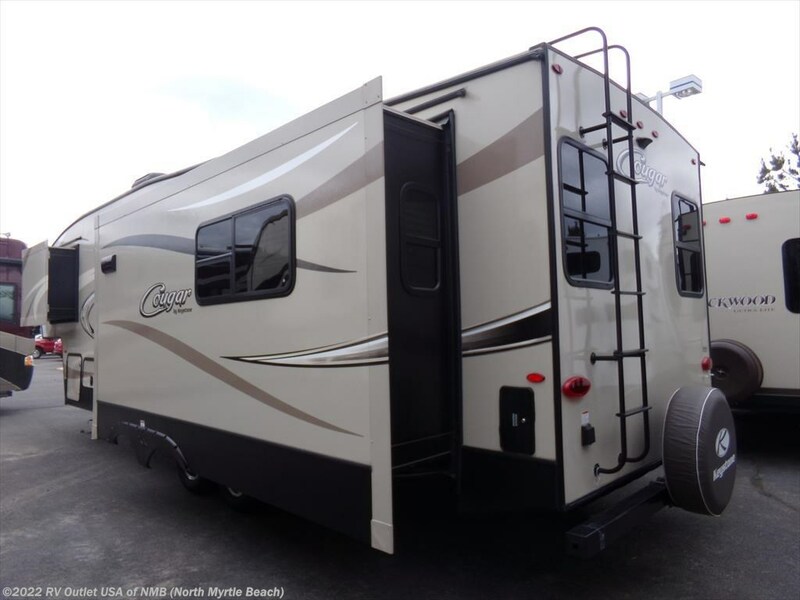 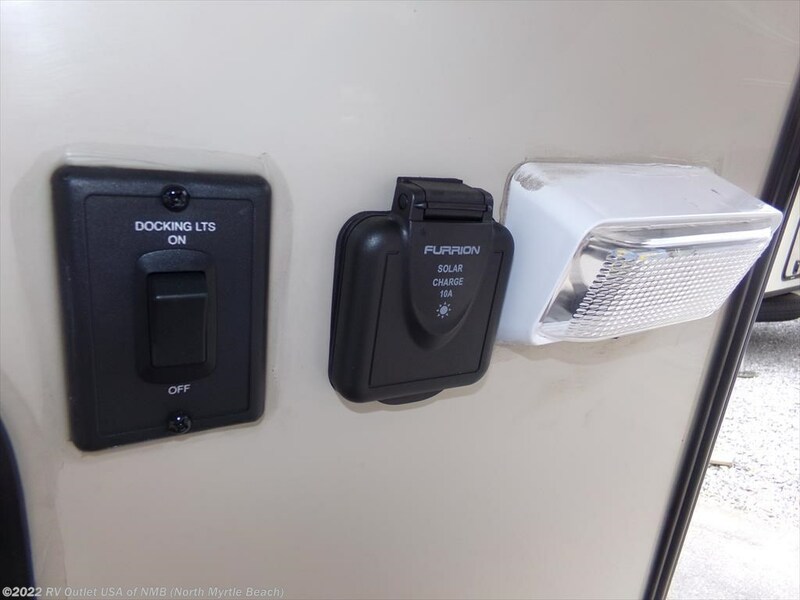 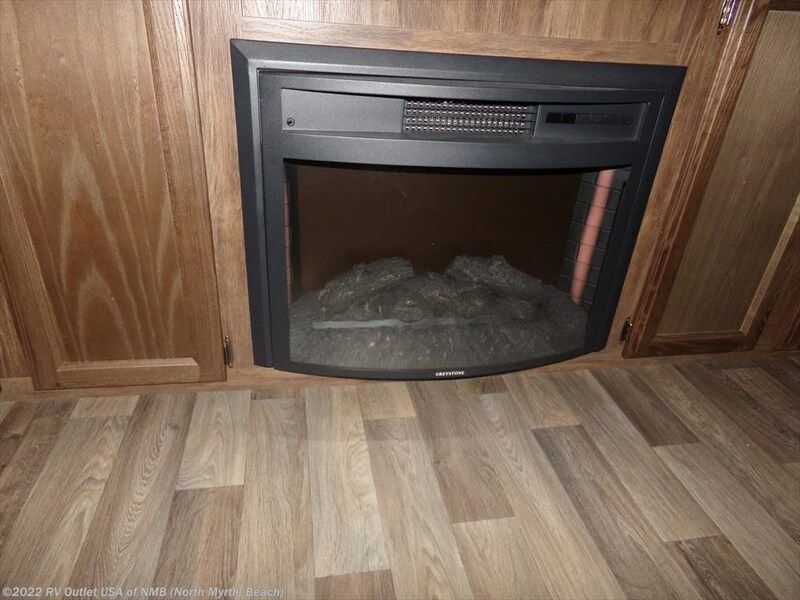 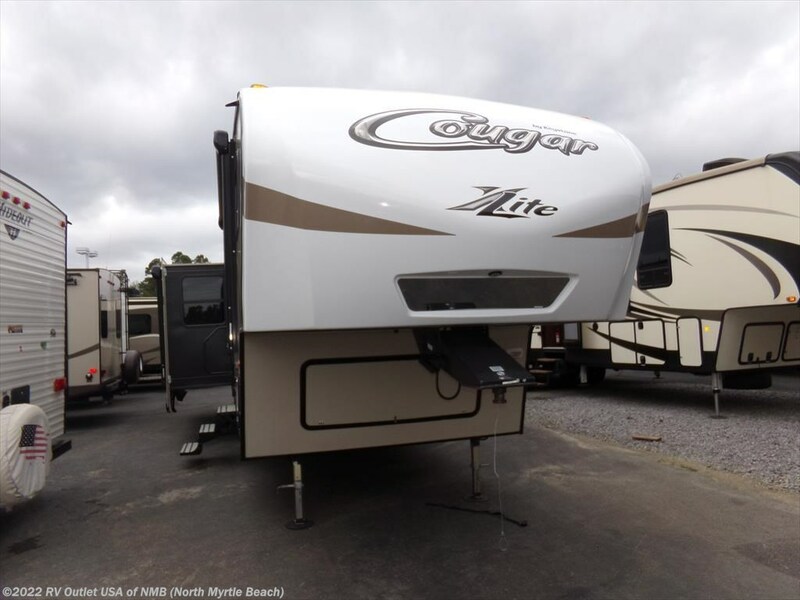 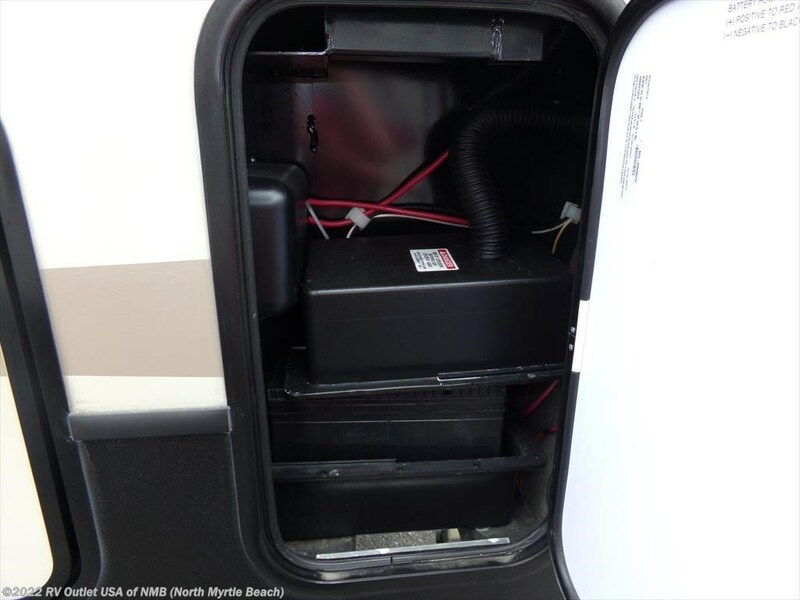 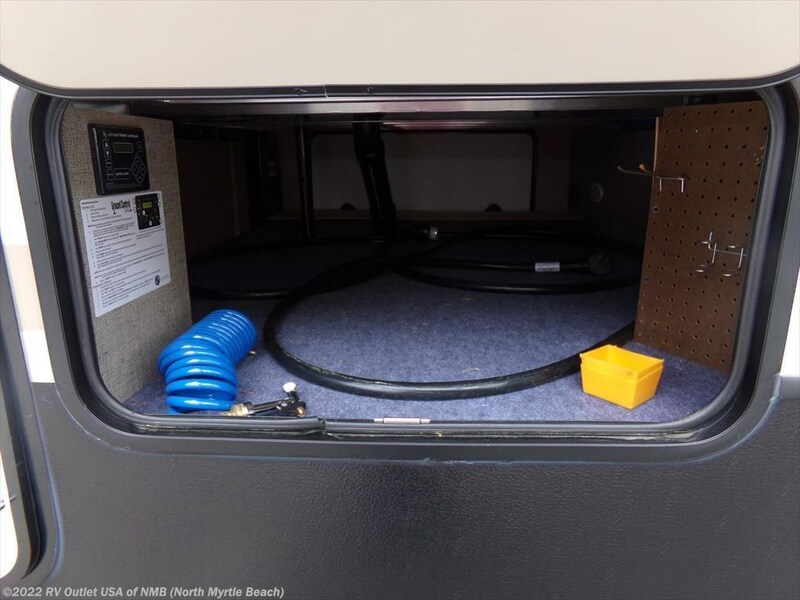 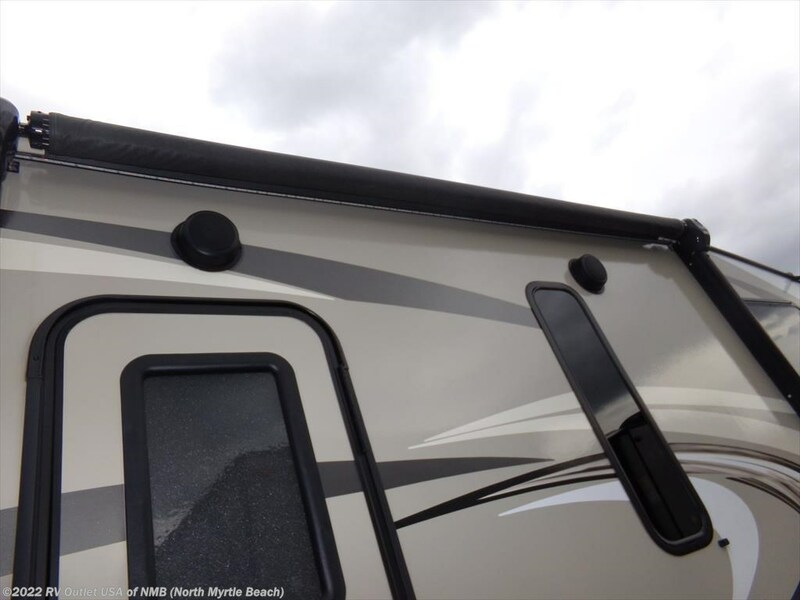 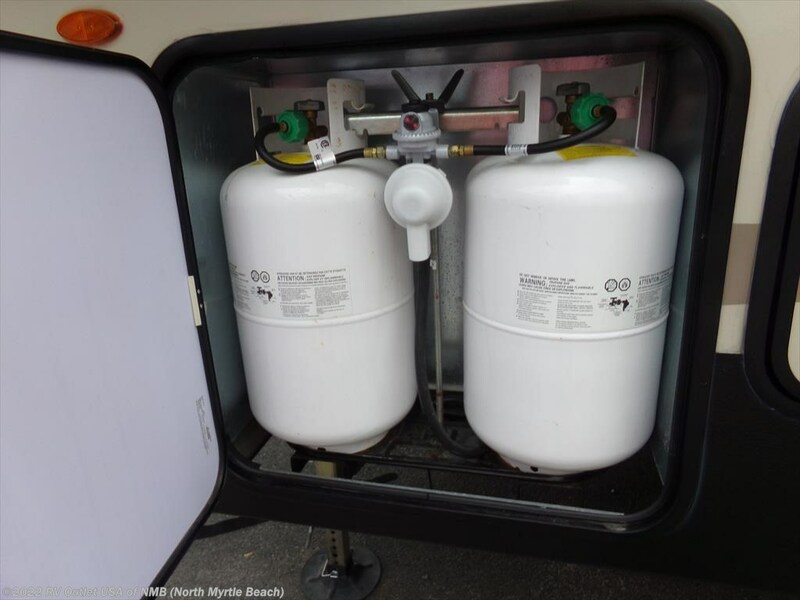 If you're in the market for a super nice, half ton towable travel trailer fifth wheel, then let me introduce you to our preowned 201 Keystone cougar Xlite 29RES. 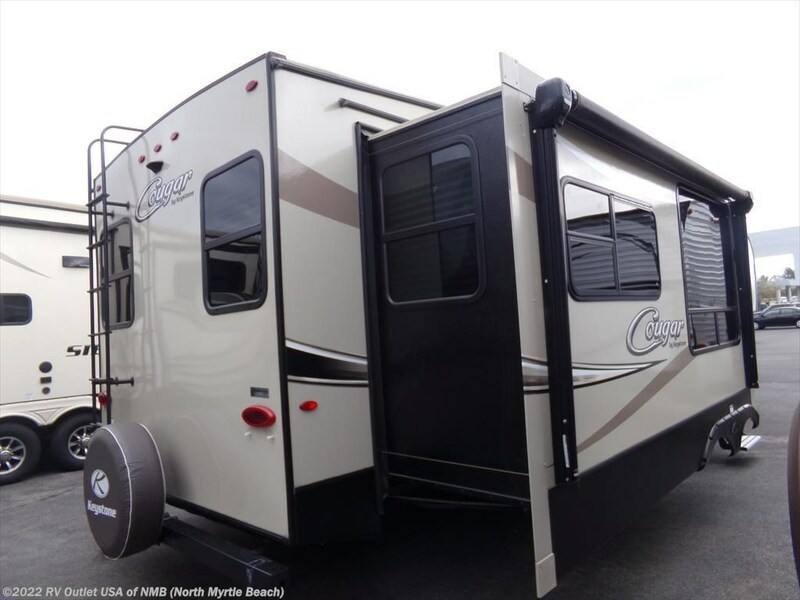 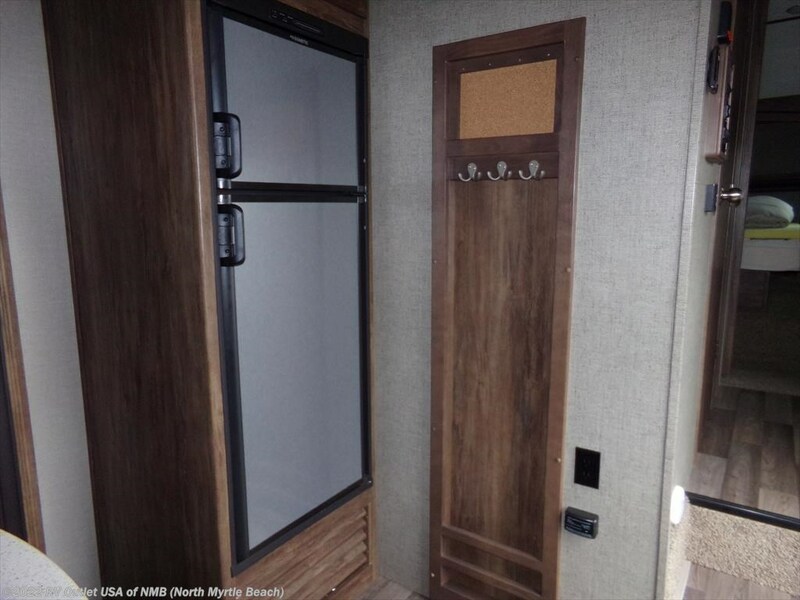 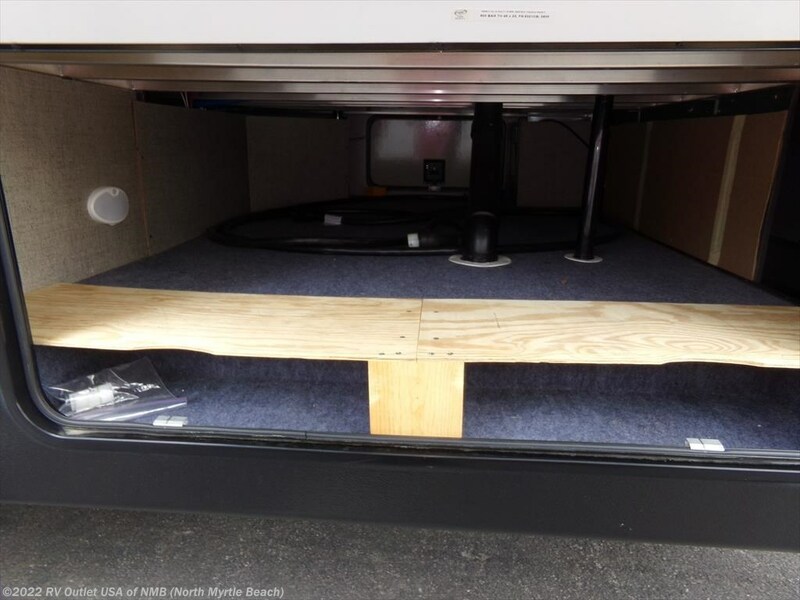 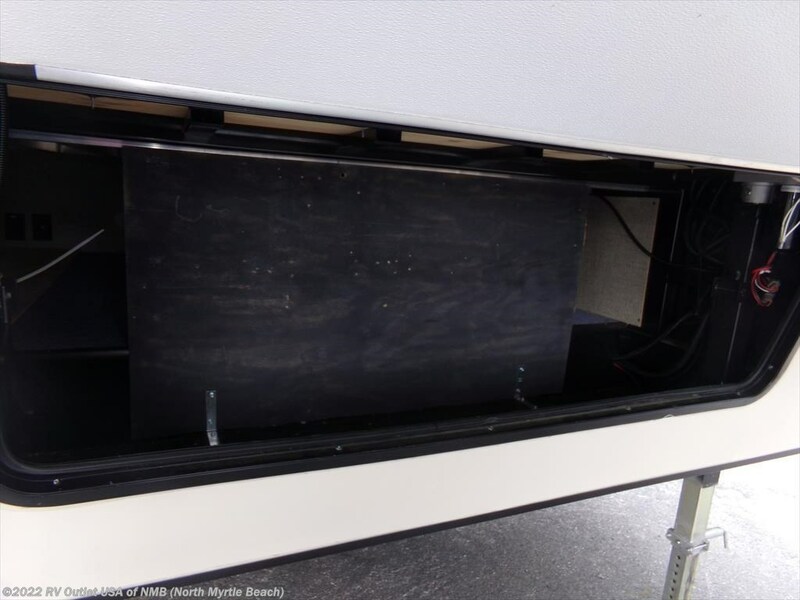 This fifth wheel has a queen bed in the master bedroom and a large wardrobe slide on the off door side. 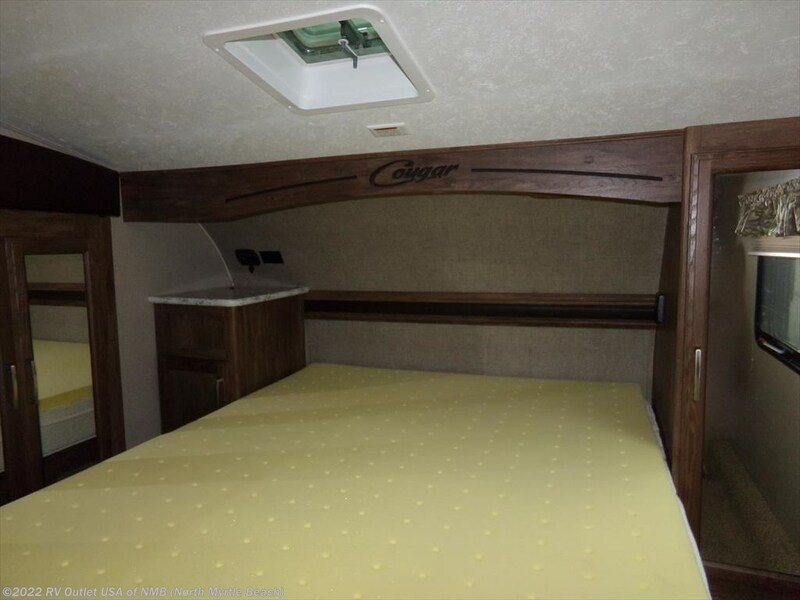 This coach will sleep up to six people and has a ton of very nice features. 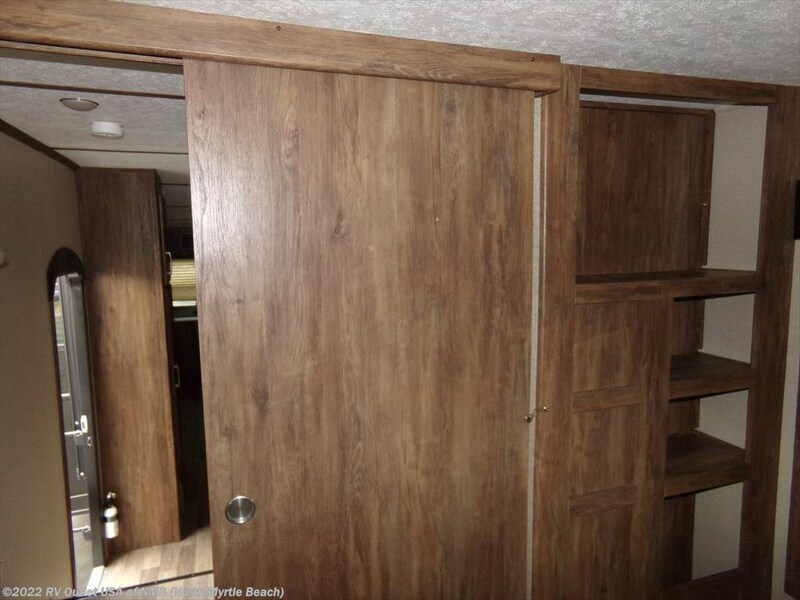 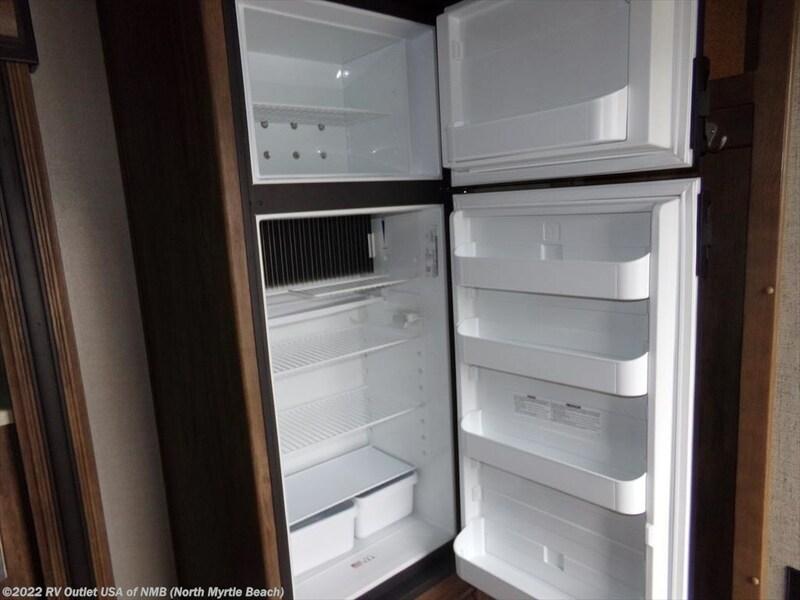 The floor plan has a again queen bed in the front which gives you a large wardrobe on the slide and on the sides. 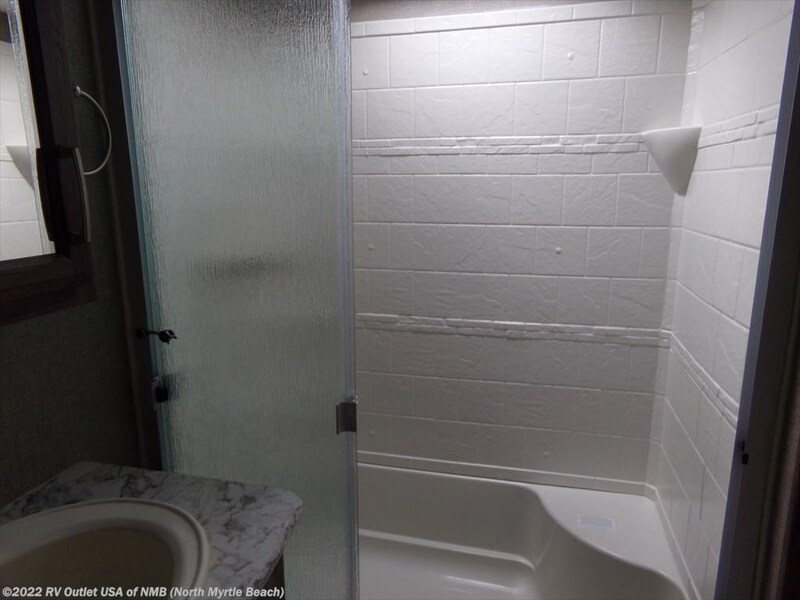 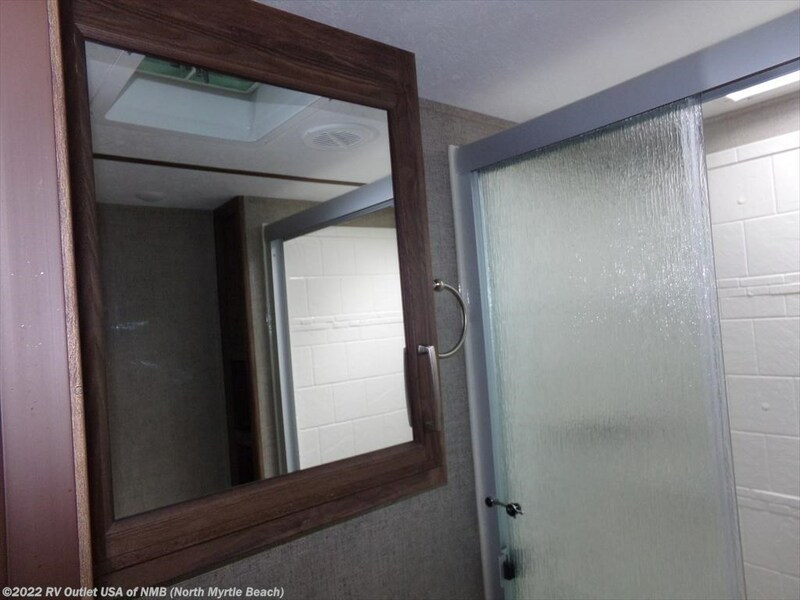 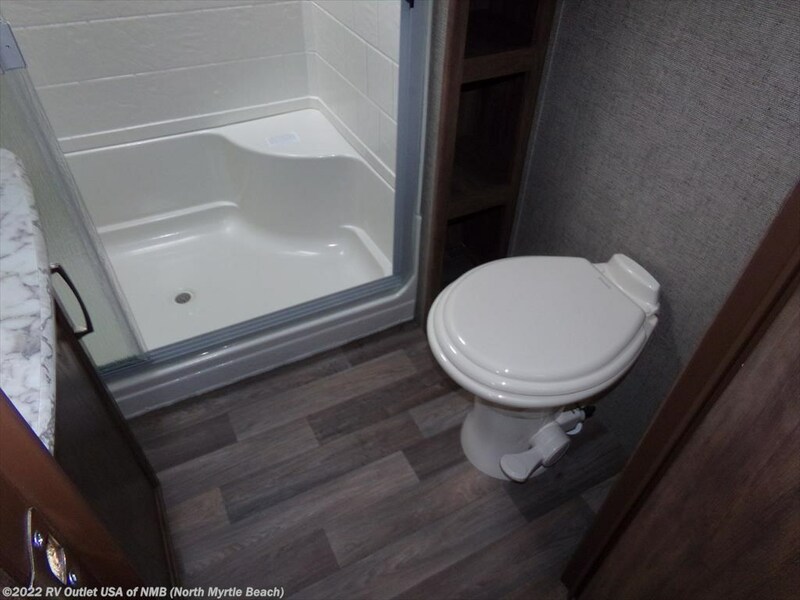 There is also the bathroom with a large shower, a sink with underneath storage, and a foot flush toilet all in one room for privacy. 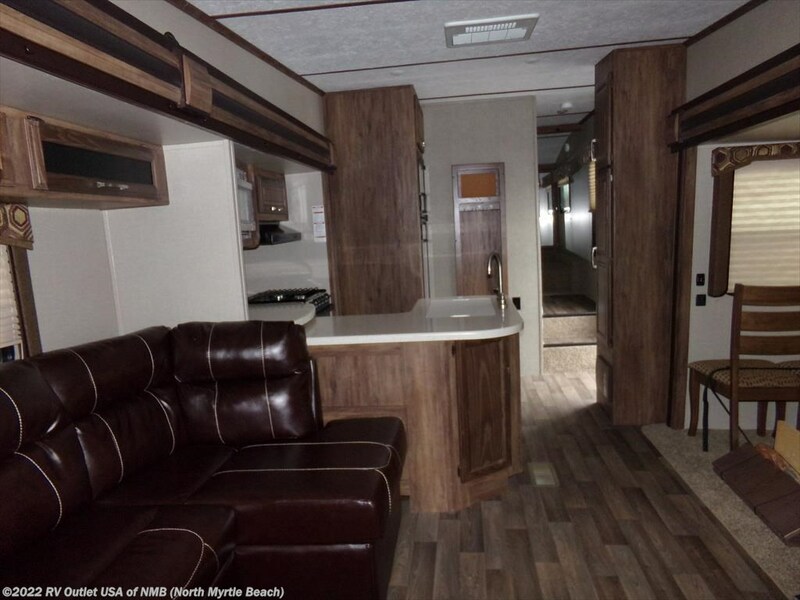 The living area is very spacious on this fifth wheel because of the opposing slide outs. 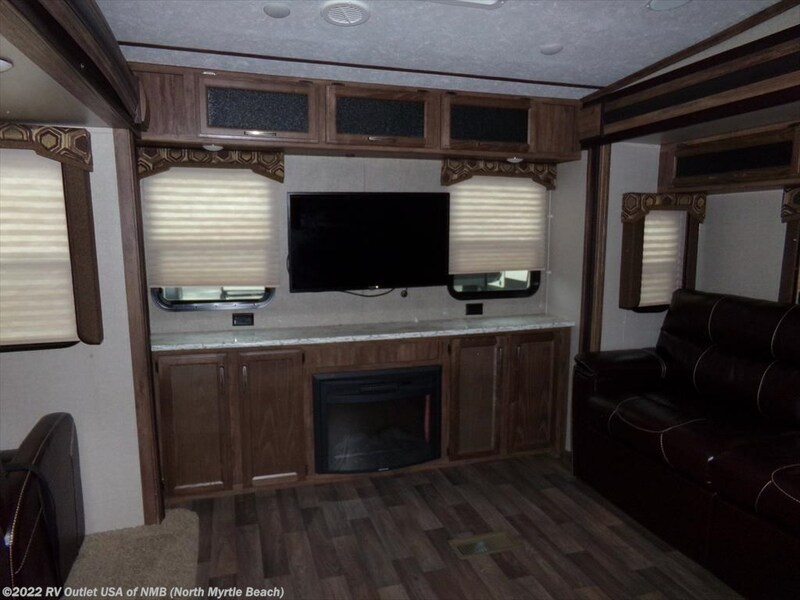 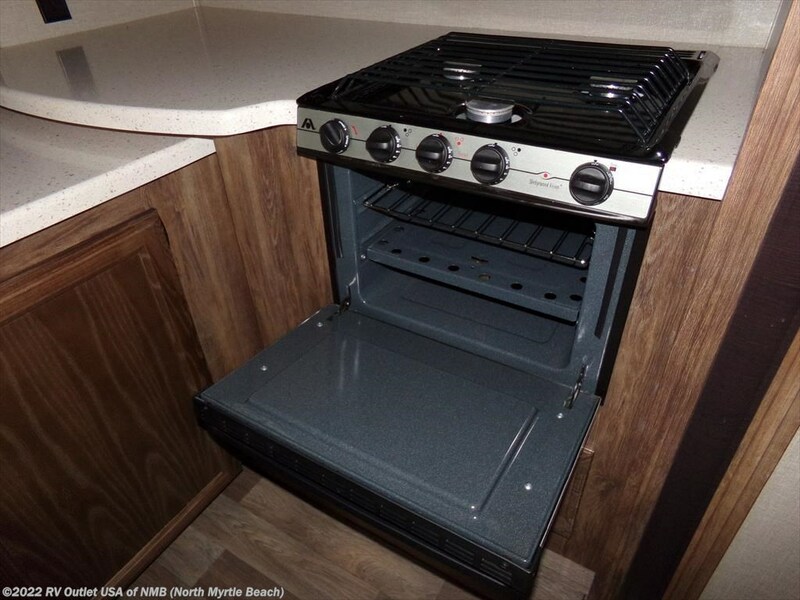 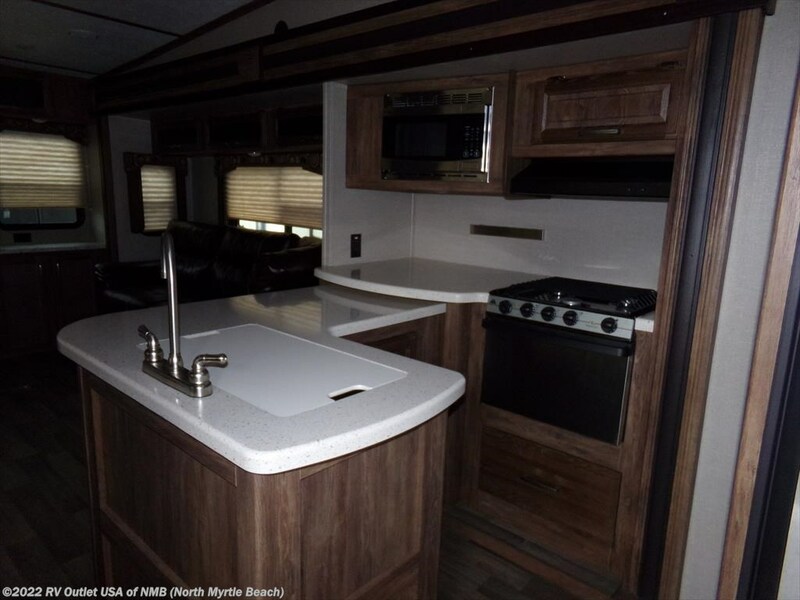 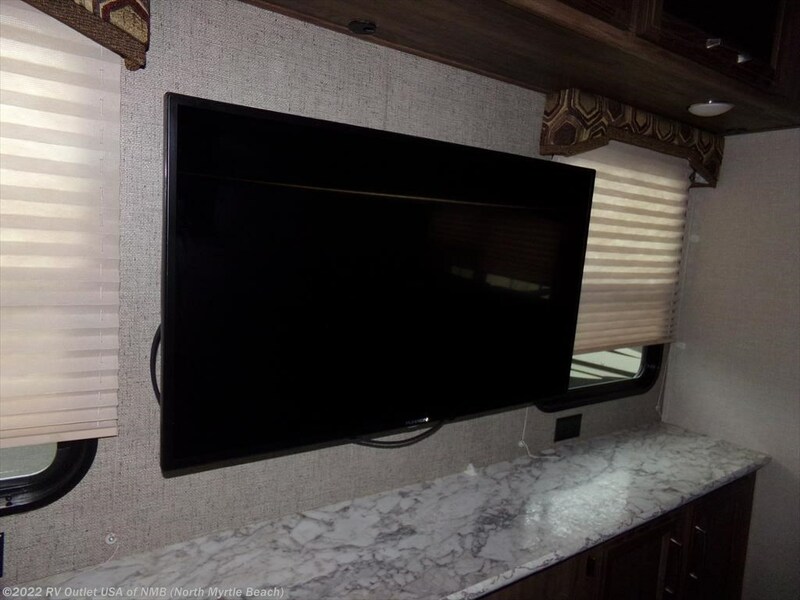 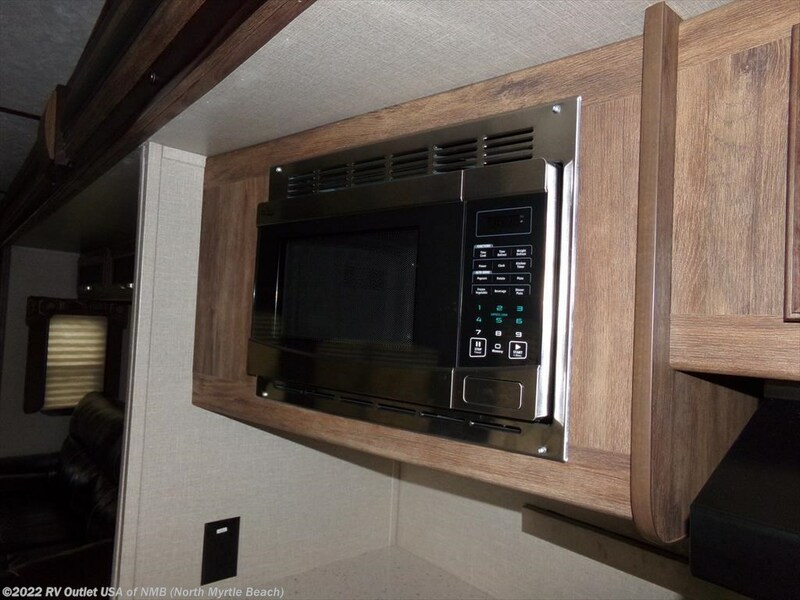 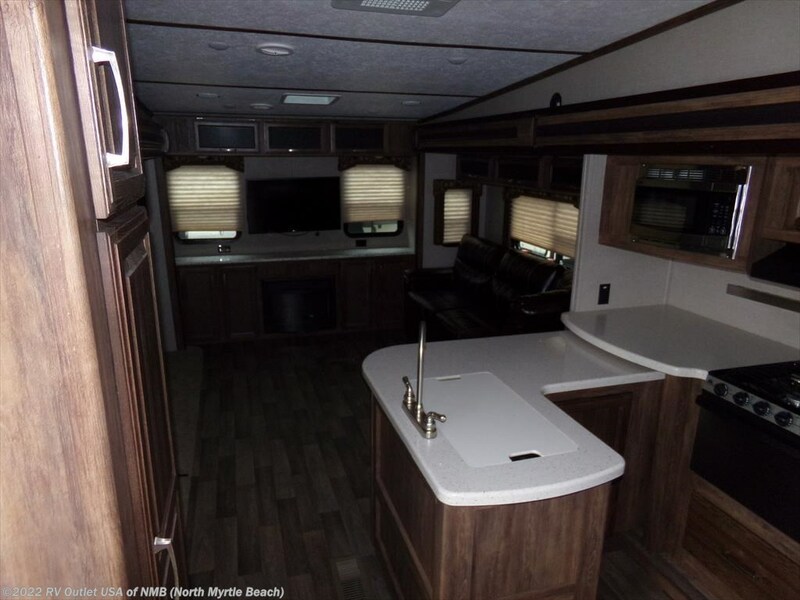 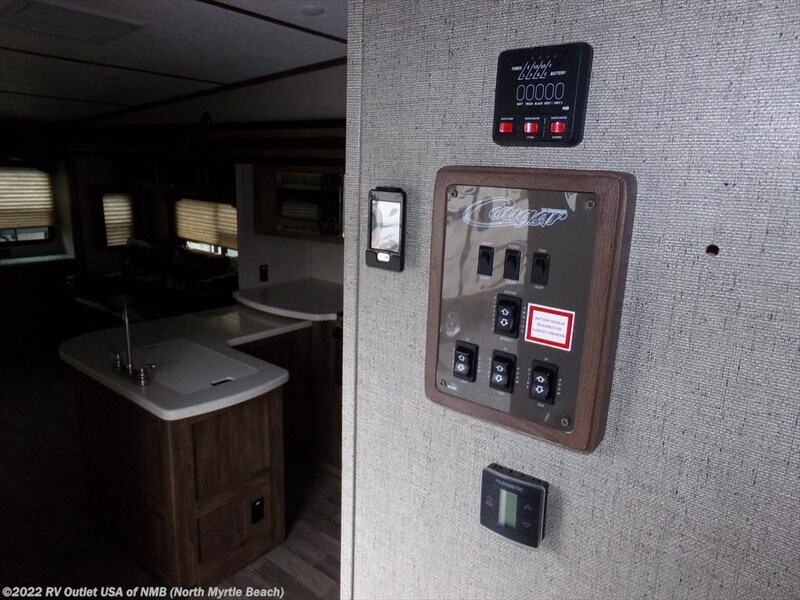 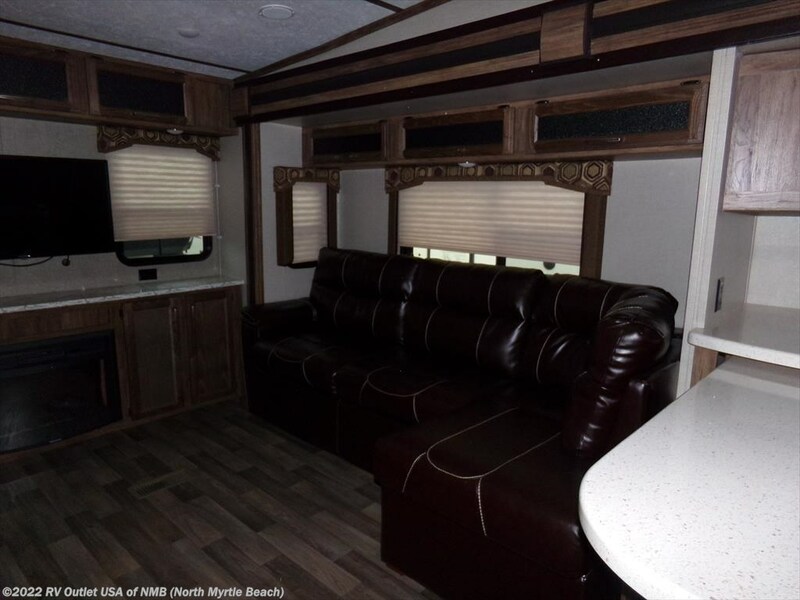 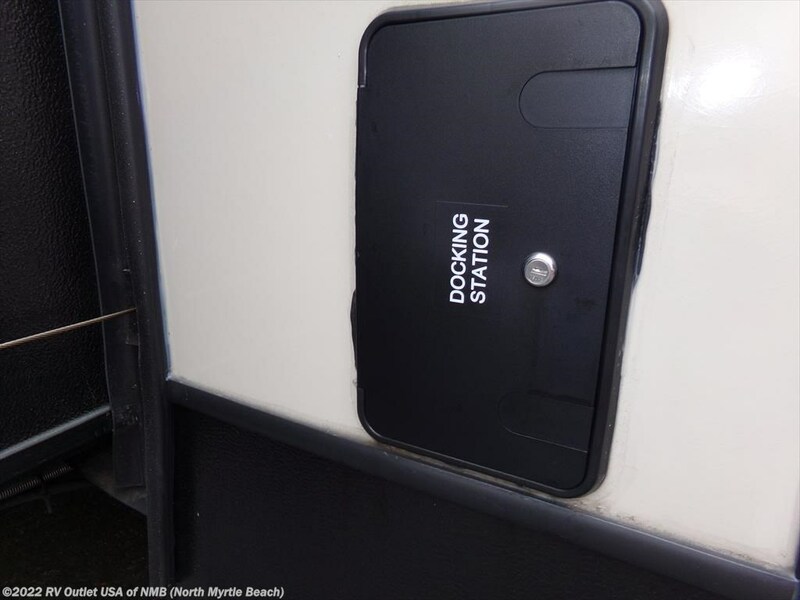 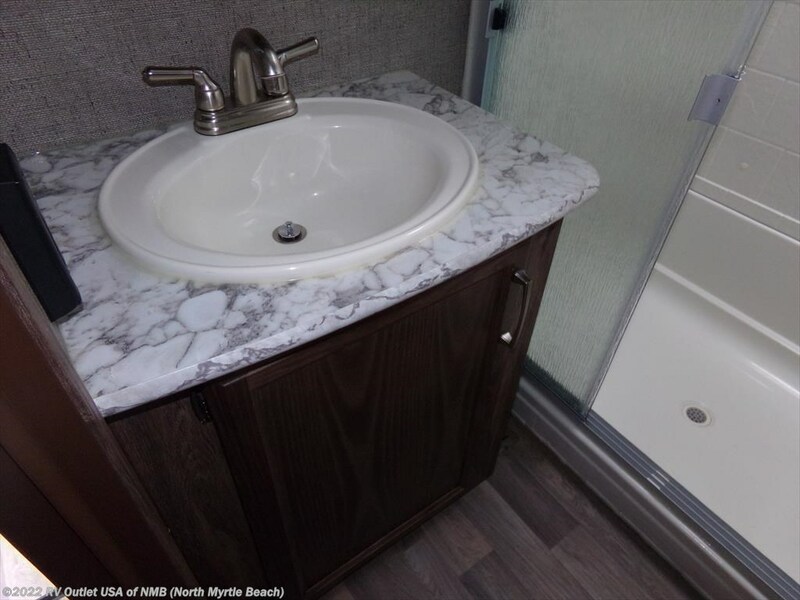 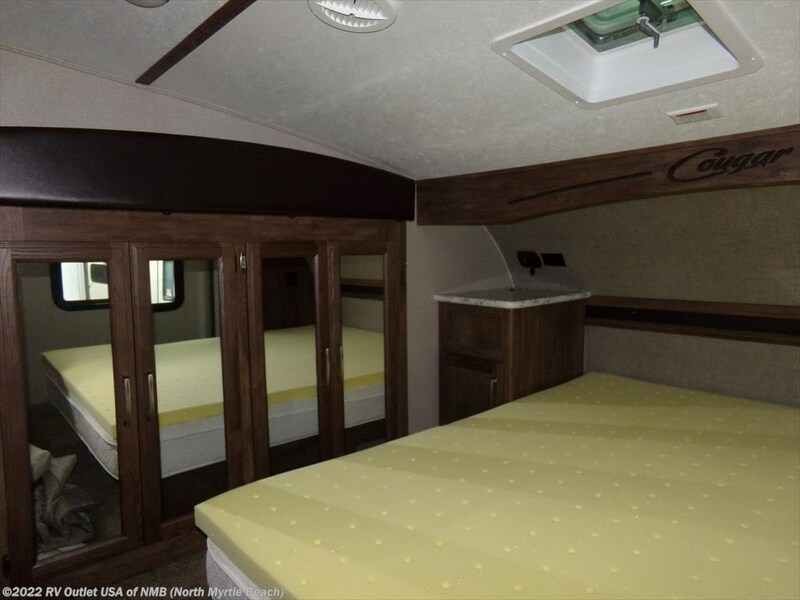 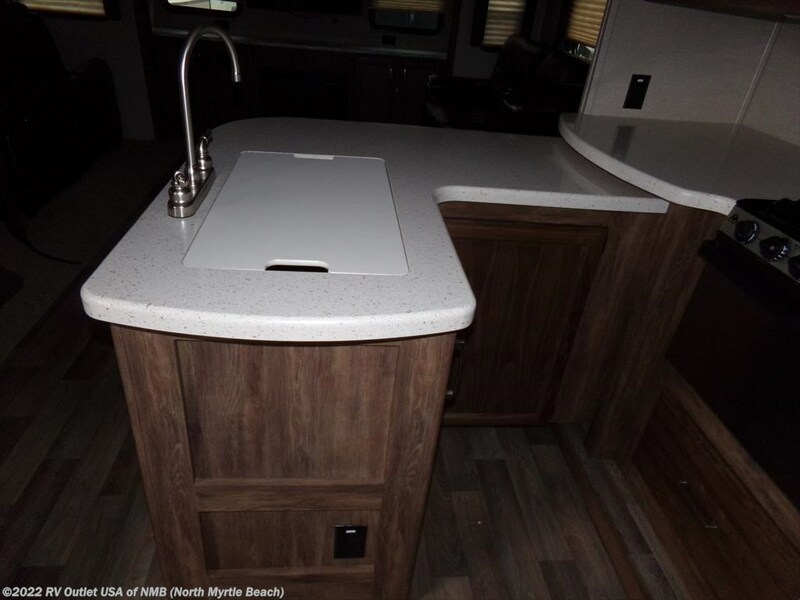 This RV features on the off door side a large sofa. 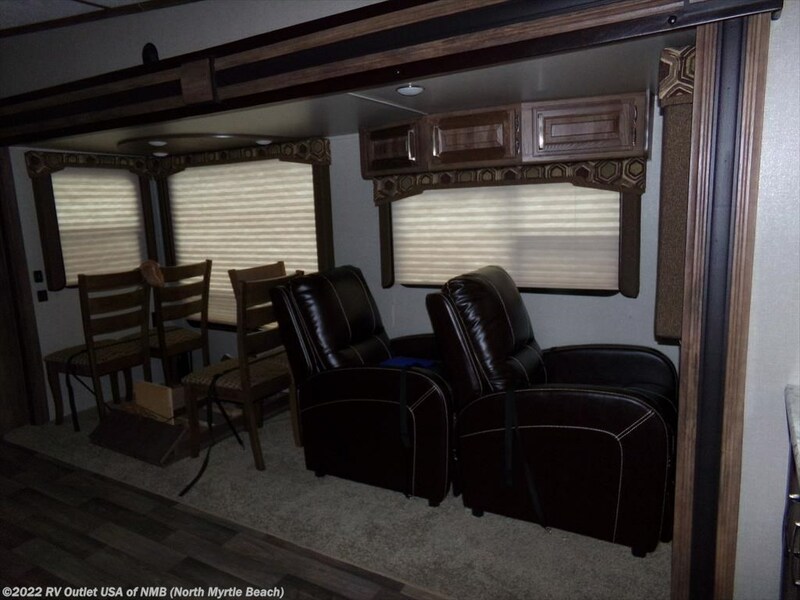 Across from the sofa slide is another slide with the booth dinette and more seating. 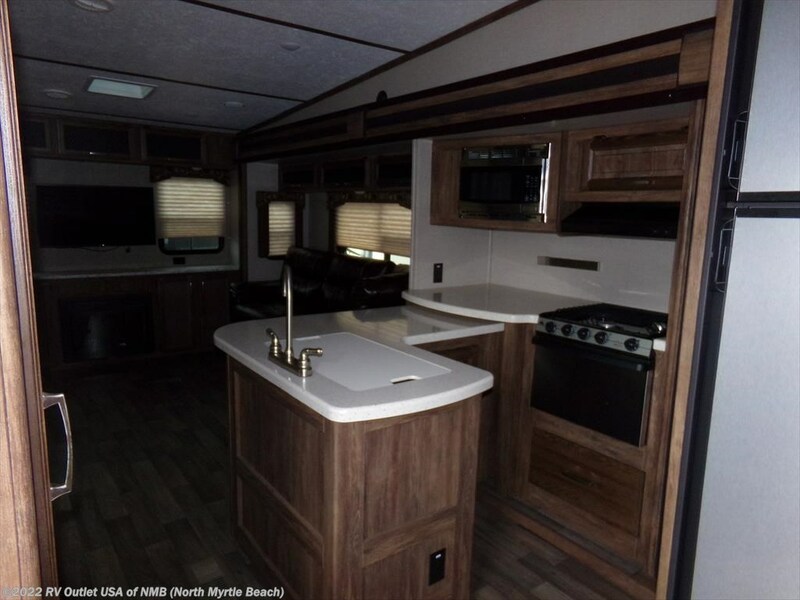 In the full kitchen is plenty counter space, a sink with underneath storage, a three burner stove top, and a large double door refrigerator. 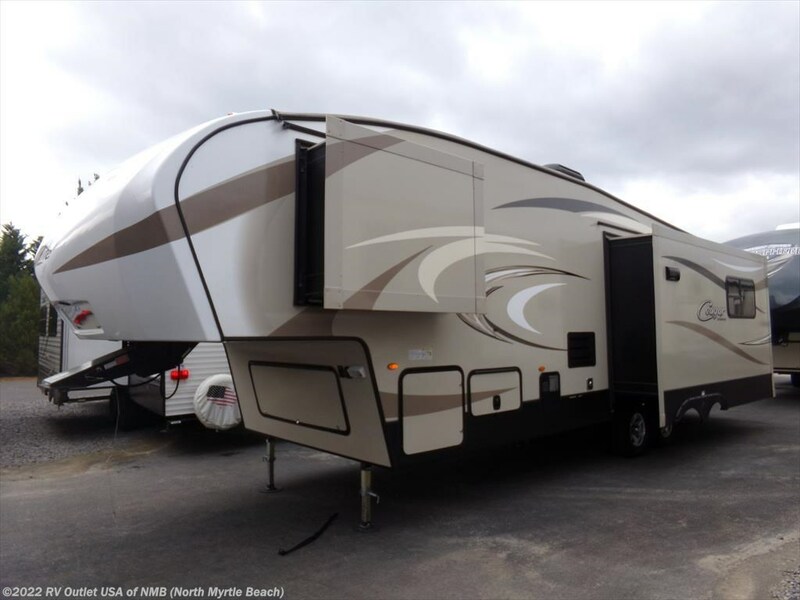 If you have any questions at all, please give us a call at 843-756-2222 and ask for toy hauler sales, they'll be more than happy to help you. 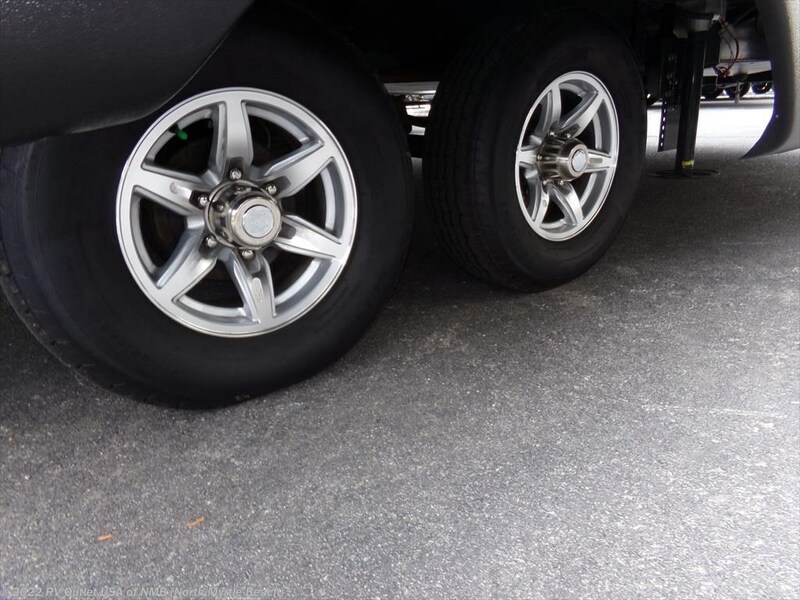 And please keep in mind, we have no document or prep fees and we always offer our customers huge discounts on weight distribution kits, parts and accessories. 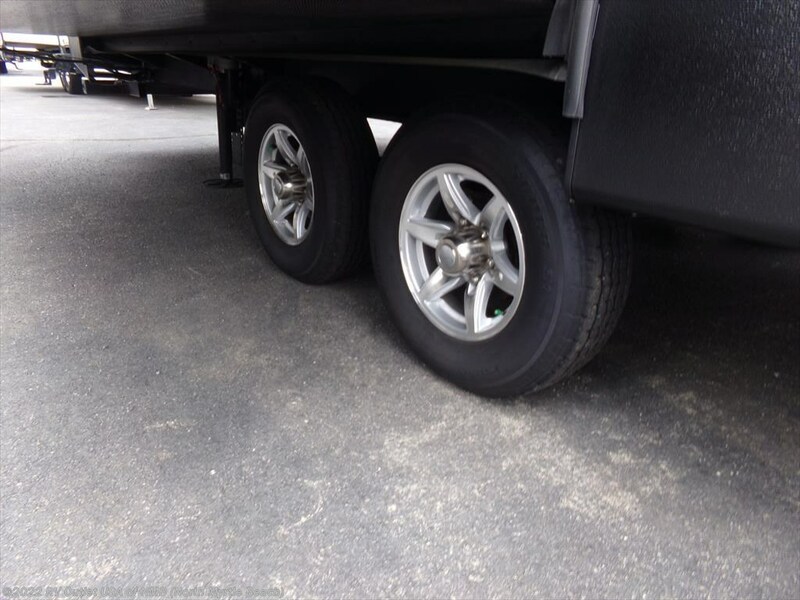 Give us a call we'll work hard to earn your business.